The education of your student involves more than just the classes in which they are enrolled. It involves learning how to manage time, finances, and yes, even health care. Campus Health Services is a resource for services and information to keep your student’s mind and body healthy while at NAU. Campus Health Services is committed to the concept of wellness. We hope you view us as a center for wellness as well as a place for your student to come when they are ill or in need of care. This information will assist your student’s provider in properly assessing all symptoms and determining the best course of action in treating and meeting your student’s needs. Due to federal confidentiality laws, Campus Health Services is not able to communicate with parents without consent from the student. These laws are designed to protect one’s privacy and control how personal information is accessed and disclosed. These laws are commonly referred to as HIPAA (the Health Insurance Portability and Accountability Act) and FERPA (Family Educational and Rights Privacy Act). HIPAA is designed to protect an individuals medical information while FERPA is designed to protect an individuals educational and financial information. With your student’s permission, Campus Health Services staff may discuss your child’s health concerns or needs with you. Students will need to sign a release of records allowing staff to discuss specific medical or mental health issues. Before new students can register, they are required to submit proof of two MMR (measles, mumps, rubella) immunizations. We also strongly recommend vaccination against meningitis ACWY and B, influenza, tetanus and pertussis. Learn about the immunization requirements and recommendations. Every student is welcome to receive care at Campus Health Services regardless of insurance coverage. While insurance is not required to receive care or treatment, all students are strongly encouraged to have some form of health insurance. Proof of health insurance is required for international students. NAU Campus Health Services offers both a discount service plan, Louie Care, and a medical insurance plan through the Arizona Board of Regents from Aetna Student Insurance. We are contracted with several insurance companies and can bill your insurance company for visits at our health center. Please visit our Insurance and Payment page for the most detailed reference to who we are contracted with and how to pay for your visit. Note: Counseling Services does not bill any insurance. The providers at NAU Campus Health Services include board certified physicians, nurse practitioners, physical therapist, psychiatric providers, licensed psychologists and counselors, an acupuncturist and a dietician. 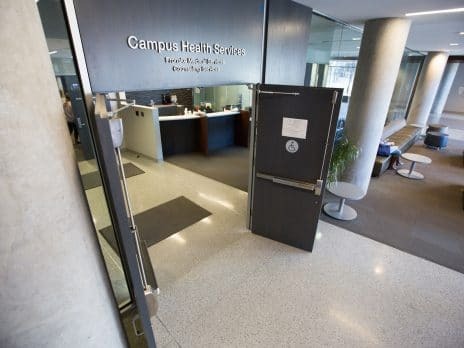 NAU Campus Health Services offer laboratory, x-ray, primary care, women’s health, osteopathic medicine, massage therapy, travel medicine, allergy injections, acupuncture, counseling, mental health, and nutritional services. NAU Campus Health services is accredited through the American Association of Ambulatory Health Care. Psychiatry and psychology are overlapping professions and often get confused. Both of these professions help people that experience emotional distress. Many people receive help from both of these professions. It is up to you where you would like to begin. If the clinician you meet with feels the other profession would be helpful we will refer you. Fortunately, campus health services has both psychiatry and psychology clinicians. Psychiatry is the treatment of medical mental health disorders and often treated with medications. Psychology/Counseling works with emotion and behaviors and treatment is focused on counseling, behavioral change and psychotherapy. Browse through our list of health forms to find the one you need. Medical Services staff maintains strict confidentiality of your records at all times. You may log in to complete the request for medical records. Once the request has been completed and submitted, please allow 3 to 5 business days before the records are made available. There is NO co-pay or deductible to meet when you visit NAU Campus Health Services and carry the NAU Blue Cross Blue Shield health insurance. There is a $250 deductible that must be paid before any benefit is paid. So, the first time you use your insurance this year, you will pay $250.00 ($500.00 per family). Co-pays and deductibles will apply to medical visits outside of NAU Campus Health Services. Yes. Faculty and staff that are insured by the NAU Blue Cross Blue Shield health insurance can receive their primary care services at Campus Health Services, Medical Services. Spouses and domestic partners of NAU Blue Cross Blue Shield covered employees having this coverage as their primary or secondary insurance can be seen at CHS Medical Services. However spouses or domestic partners with other health insurance as their primary coverage can have another BCBS, United or Aetna or Cigna plan or pay out of pocket at time of service. Former spouses of eligible employees covered by a COBRA plan are not eligible. Yes, CHS now accepts payments at the Check Out desk located on the first floor right next to the Check In area. All fees should be paid at time of service. If a spouse or domestic partner visits CHS they must pay for their copay/deductible on the date of service. Fill out a “Request of Charges” located at CHS’s Patient Services desk. We can mail or fax you your itemized statement. Email campushealth@nau.edu to request your statement. Call the Administration Office at (928) 523-6343. Log on to Campus Health Online to view your statements. If you cannot make an appointment you will need to either log on to Campus Health Online or call (928) 523-8995 to cancel your appointment. If you do not cancel your appointment in an appropriate amount of time you will be charged a “no show” fee that varies depending on the type of appointment that is made. If you are running late, please call (928) 523-8995 to inform us you will be late. If you are more than 10 minutes late to an appointment there is a chance you will not be able to see the provider and you will be charged the “no show” fee. Yes, if you are an employee of NAU you can obtain services at CHS. The fee is $78.00 to see a provider plus extra for any labs, x-rays, or procedures. If you are covered under BCBS, Aetna, Cigna or UHC insurance, we will bill your insurance for you. Yes, CHS is a contracted provider for State Risk. We will work with you and Human Resources to complete all of the necessary paperwork and bill State Risk for the services. All NEW worker compensation patients must call 1-800-685-2877 to initially speak with a registered nurse at the State of Arizona Worker’s Compensation Employee Injury Call Center. Call (928) 523-2131 and follow the prompts to reach our on-call provider.